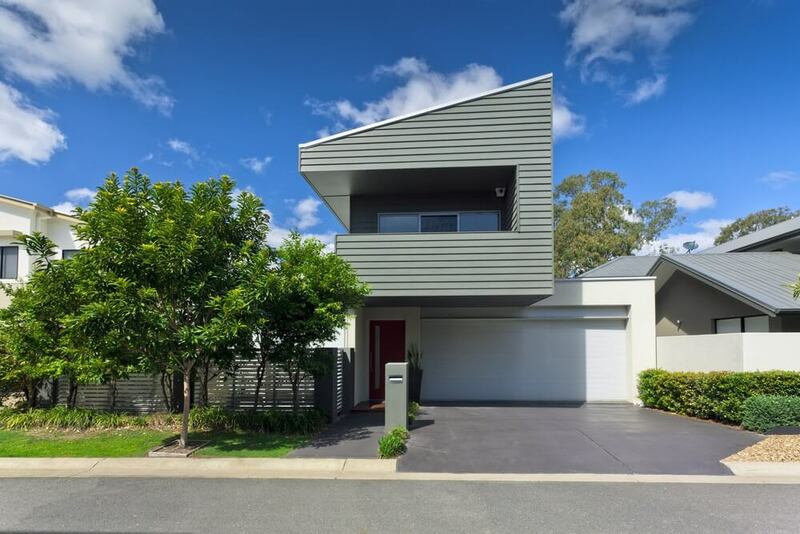 According to the 2016 National Land Survey program, the ideal Australian family home stands on a 665sqm block and has four bedrooms, two bathrooms, and a two-car garage. Because people also look for affordable housing, the average Australian family home shrank to a house with three bedrooms in a 474 sqm piece of land. It’s like we’re on a housing diet and our homes are getting slimmer. In the future, the nation’s going to need more small house designs to comply with the market. Good thing, smaller homes are relatively cheaper to build and maintain compared to a large house. You can save money on construction and maintenance. However, that doesn’t mean that the structure is less complicated to build. You have to be clever in implementing space-saving designs in order to make the interiors feel larger. You also need extreme management skills to keep everything within your shoestring budget. It’s not easy but we’ve got some tips to help you through. How much from the cash you have is allotted for your new home? How much can you borrow from the bank? Add all these figures up and you have your budget for this expensive, lengthy project. What makes this difficult? Borrowing money from the bank becomes a challenge if you have a bad credit score. Good thing, Superdraft offers a financial service which can help you fund your home’s construction. Read more about it here. Reduce your current living expenses to save for this project. You can start with cutting your grocery money and purchasing the items you truly need. You can also practice lowering your utility bills. During the warmer months, wear thinner clothes and open your house to allow natural ventilation. In cold times, wear thicker clothes so you don’t so much artificial heating. What makes it difficult? We’re talking about a little lifestyle change. Let’s face it—some habits are easier to break than others. At the same time, some people adjust faster than others. Good thing, smaller homes are faster to build. The adjustment period won’t last for more than a year. You’re more likely back to your regular habits in your new home before you know it. Note: You may want to continue your energy saving habits. Ask your architect about implementing the passive house (passivhaus) design in your new home. Make sure that your land you bought has utilities run to it. Don’t fall for buying a cheap piece of land that is hardly accessible by power, water, and gas providers. It will cost you so much more if you have to prepare a land that doesn’t have utilities. What makes it difficult: Weighing your priorities makes it difficult. In this article, we found untouched and cheap pieces of land which are great not just for a home, but for agricultural businesses too. If you’re looking for this rural life, then a small house with a wide outdoor space for leisure and business is the one you need. Get an accurate and detailed plan from your architect. A detailed drawing of your small house designs will help you in budgeting. This way, you’ll know which of the interior features are you willing to let go just in case you need additional costs for quality foundation, electrical wiring, heating and coolings system, insulation, plumbing, ductwork, roofing, or windows. It’s best to invest more of your construction budget on the main building blocks of your home because these are harder and more expensive to update. You can save on the interior and exterior decorations. What makes it difficult: The building process is a lengthy process with a lot of decision making to make. It’s easy to lose track of the plan especially when you get excited over the end result. Let us explain these instances better in this article. Engage yourself in the design and construction phase. As the homeowner, you are the boss of this project. It’s important to understand the design plan before you approve it and proceed to construction. This helps you understand the tasks you can do or help with. If you have the skills and experience, you play as the general contractor and hire other independent builders. If not, it’s best to hire established builders and offer help on the construction tasks you can handle. What makes it difficult: Finding an experienced contractor is as difficult as finding your designer. Not all builders translate an architect’s drawings the same way. Some will disappoint you, some will fulfil what’s needed. It’s best to ask your architect for recommendations. Personally shop around for the materials and services you need for your home. Meet your suppliers before doing business with them. Talking to them face to face is the best way to fully understand the products they offer you. Not to mention, you can negotiate with them properly. Who knows how much discount you can score at the end of the day! What makes it difficult: Seeing the products face to face, you can’t help but compare the items you need from something that just caught your attention. It’s difficult to decide on the spot because you might create a mistake. Now that you’re working with a smaller budget, it’s best to go for something practical. Choose basic finishes for your cabinetry and flooring. You can upgrade interior features such as flooring material, light fixtures, kitchen frills, and countertops in the future. Shop your appliances during clearance sales. Help with the finishing details. These finishing tasks include painting your walls, installing the floor material, installing your appliances, and cleaning up the construction mess. This way, you can let go of some of the people you hired to help in construction. You will replace them instead. What makes it difficult: If you’re not confident about how you’re gonna do their jobs, it’s best that you let them finish theirs. These tasks can be finished in a day when everyone works efficiently. Don’t forget about the landscape! Start with a good lawn to make your outdoor space presentable. As time pass by, add features such as retaining walls, fences, and walkways. Don’t forget to grow a tree or maintain a food or flower garden. It’s not impossible to own a home even if you have a modest budget. You just need some creativity and patience in looking for the right design and construction professionals. Most importantly, guard your finances by tracking your expenditure. These are our Superdraft-approved advice and we hope these tips help! Find Melbourne architects and building designers for your new home.